The case with the extra breakable tiny little catches.. I repaired these before I did anything else. I always take the lid off and inspect before power on.. You never know what you might find. Can you spot whats wrong here? Yep, one of the 6526's is a burnt out 6569! Nice! 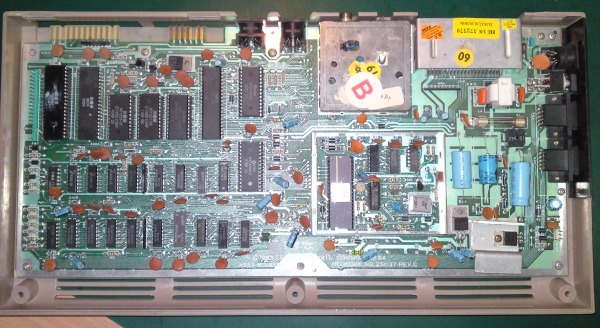 Is this a model below the VIC-20. Would have made a good wallpaper if I could hold the camera straight. 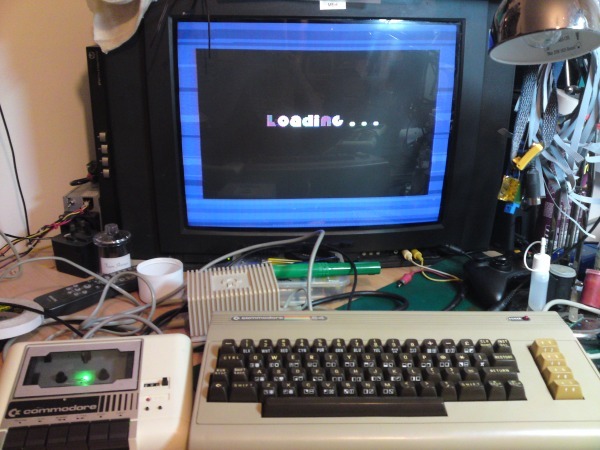 I used a Commodore Diagnostic cartridge to identify what chip was down. 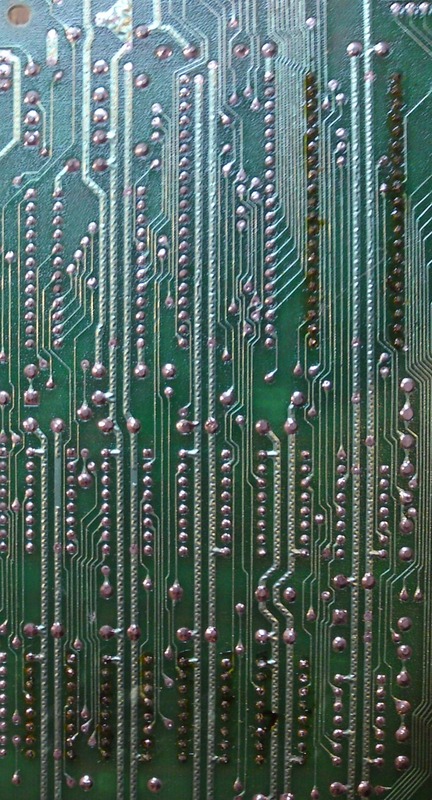 You can never completely believe what these things diagnose, as something else on the PCB could be causing the problem. 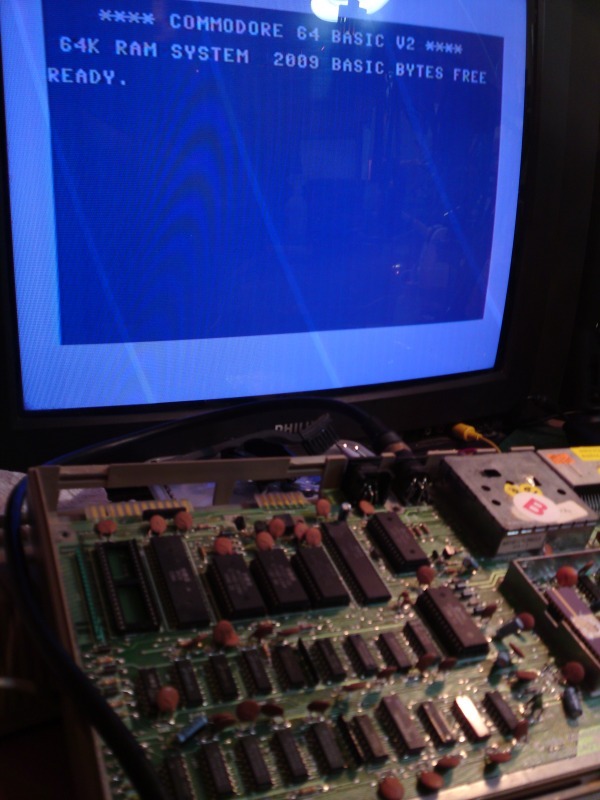 And that's why I use a Oscilloscope, Anywho, the scope didn't look right on U9, so I clipped it out. The upper memory bank has been repaired in the past. 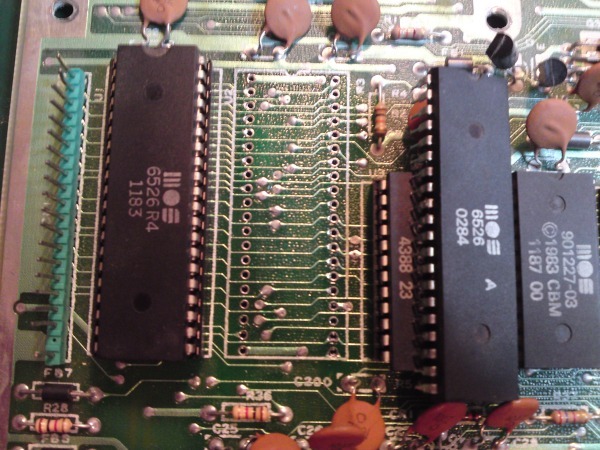 As well as the 6526 socket that had the 6569 installed in it.. Nice of them to clean up afterwards huh. Memory chip removed. 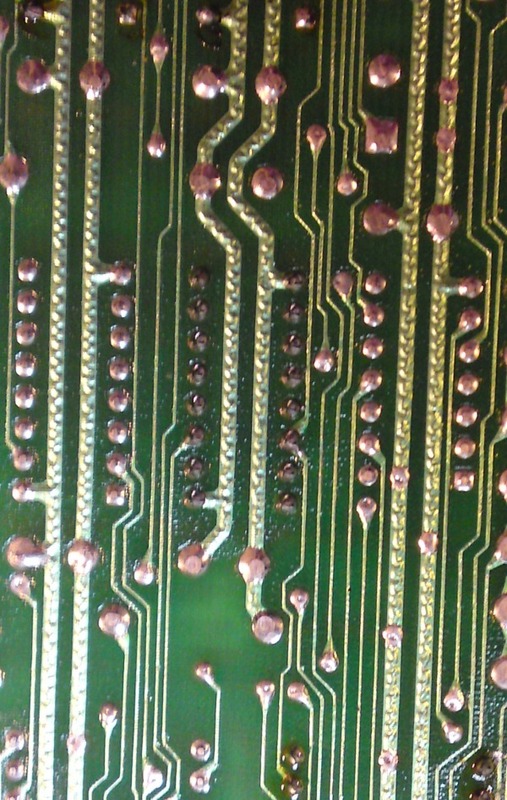 This sort of PCB is rather like the Sinclair Spectrum PCBs. 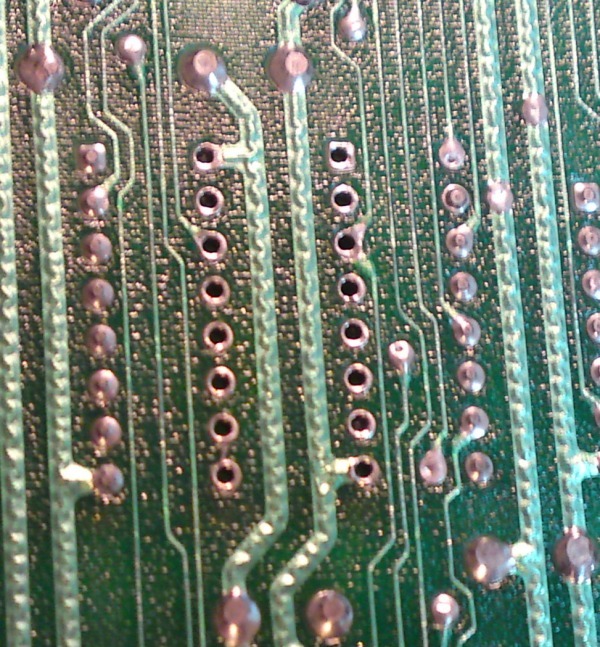 Not much solder resist to hold the tracks in place. 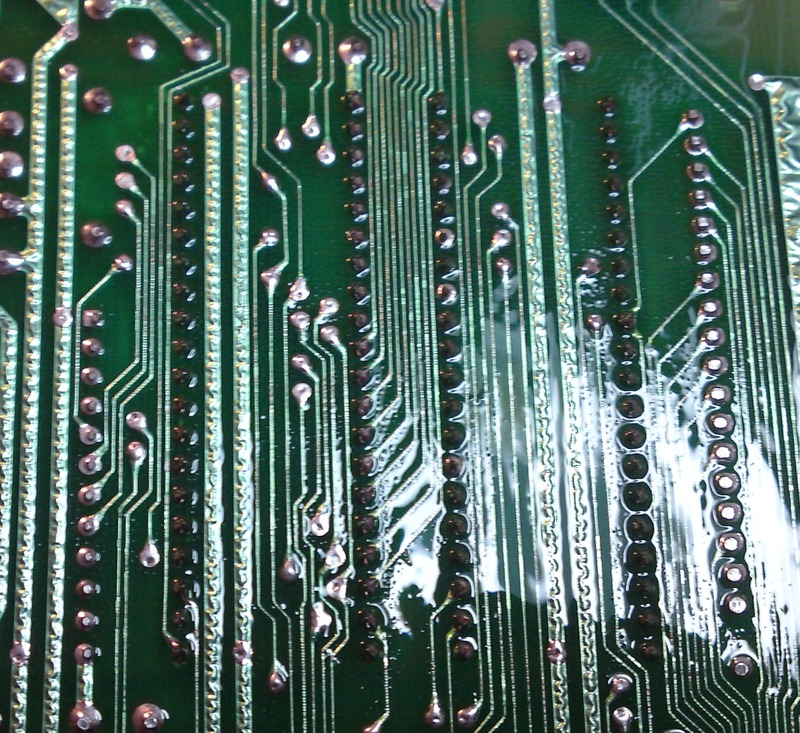 Thats why I cut the pins off before desoldering. 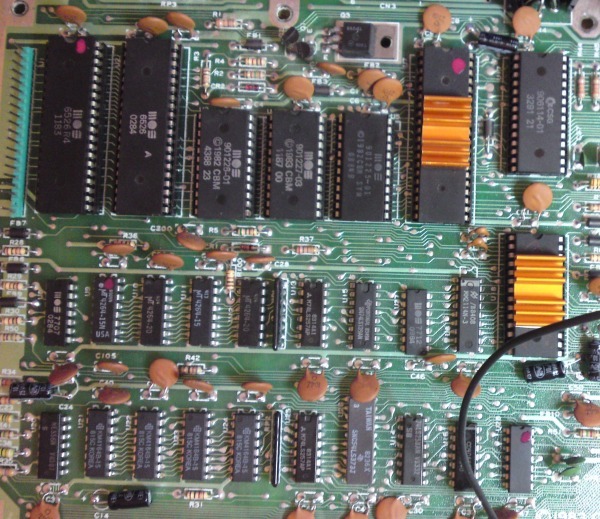 Anywho, it turned out that the PCB isn't as bad as the Sinclair boards. The tracks on those things lift if you just look at them. For a quick test I plugged in a cartridge.. All good.. Well no..
No not a lot of people know this. 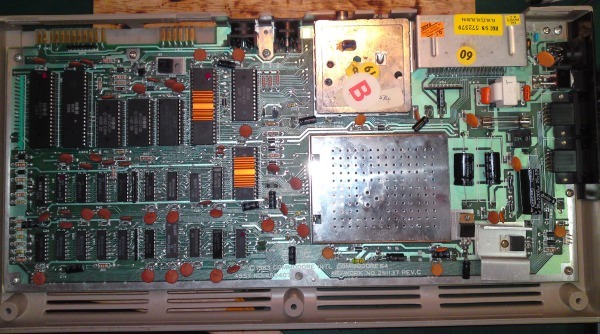 But the cassette port is controlled just about directly by the CPU. 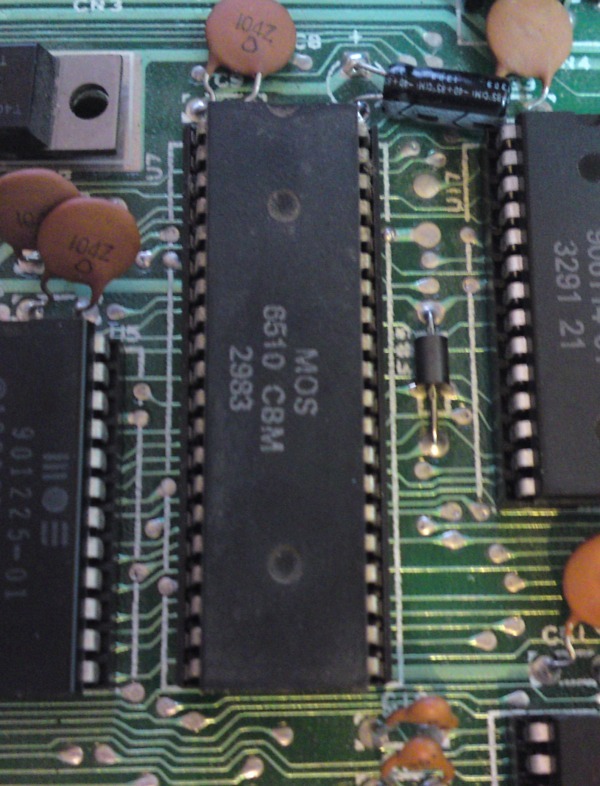 And as the CPU also connects to the 6526's my hunch was it had to be worth desoldering and replacing with a known good CPU. Even tho my tester said it was OK. Another socket installed! 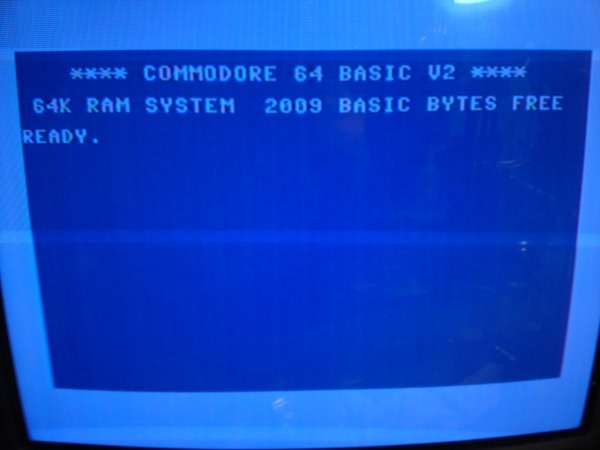 So thats why I had to remove the other 6526 so I could test it in another system. Gave me a chance to clean up from 1988's champion of burnt flux. 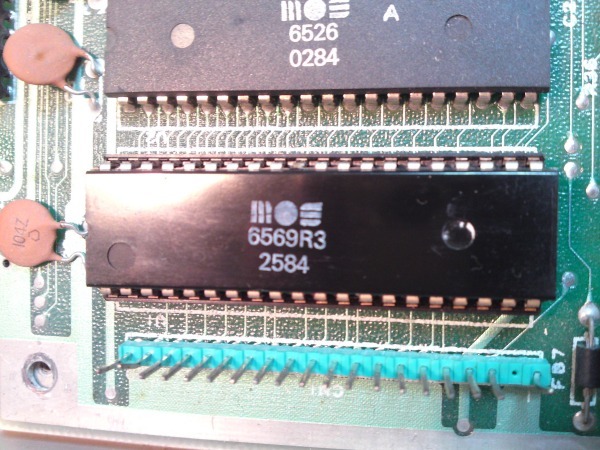 I also changed a 4066 @U28 as that had failed a test and was easy to swap for a new one. The bad news was it is still popping fuses at this point. Happy days, my hunch was correct. No more popped fuses, and the diagnosting harness and cartridge no longer reports spurious faults! 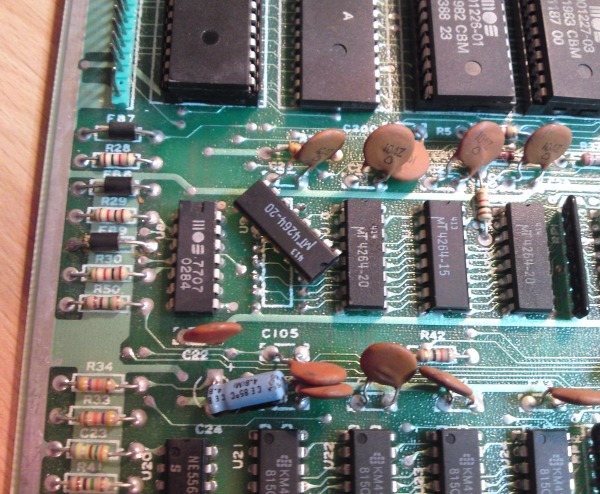 Four chips replaced (red dots), the 4066 wasn't faulty but I'm not about to remove it for fun. Added heatsinks to keep those chips alive for a bit longer! 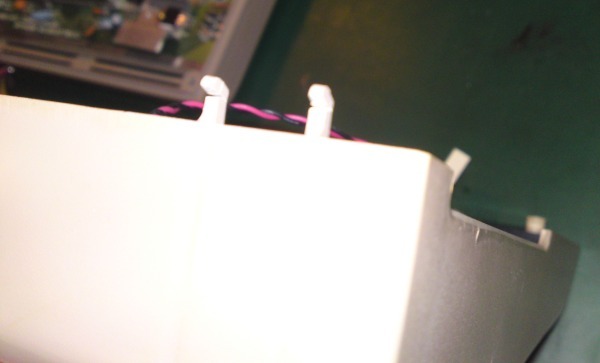 Do this to your SID, before it overheats and dies! 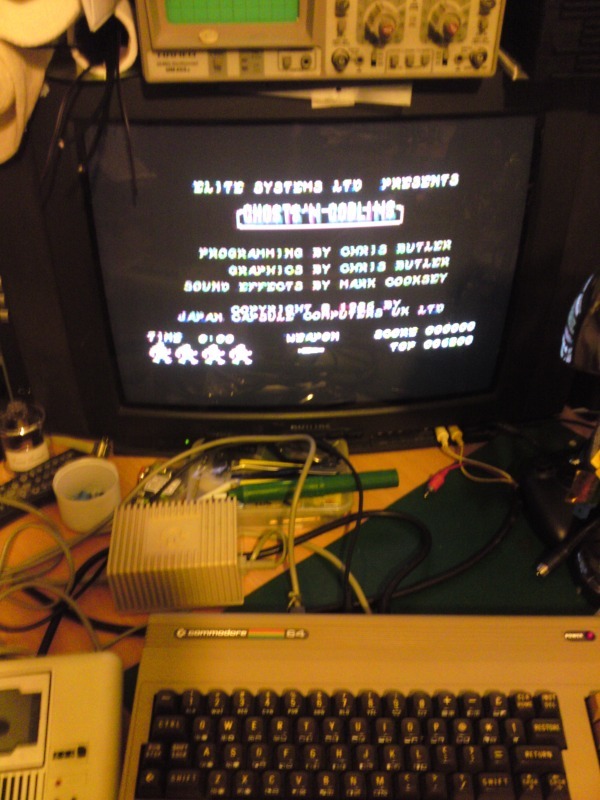 C64 back in its lower case. 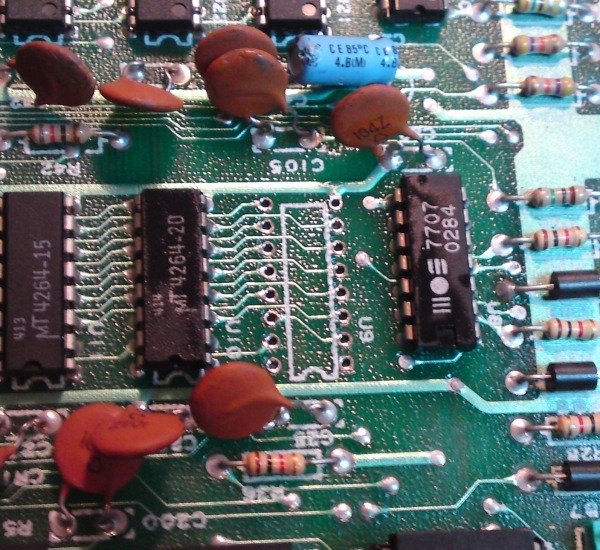 Those with working eyes may notice that I changed all the capacitors. 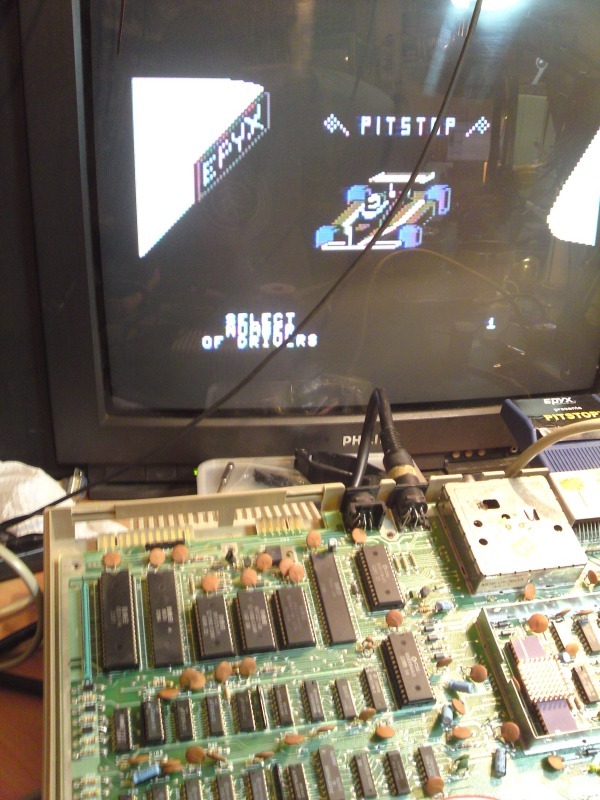 This machine had a .9 volt ripple on the 5v line. You should always install new caps in this old stuff.. It was more than likley to have been the cause of these faults in the first place. The hotter it got the more rippley the voltage became. 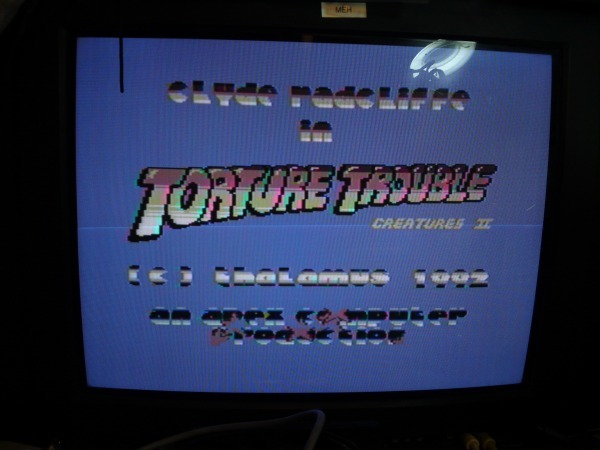 Already played, sorry tested the tape port with R1D1. 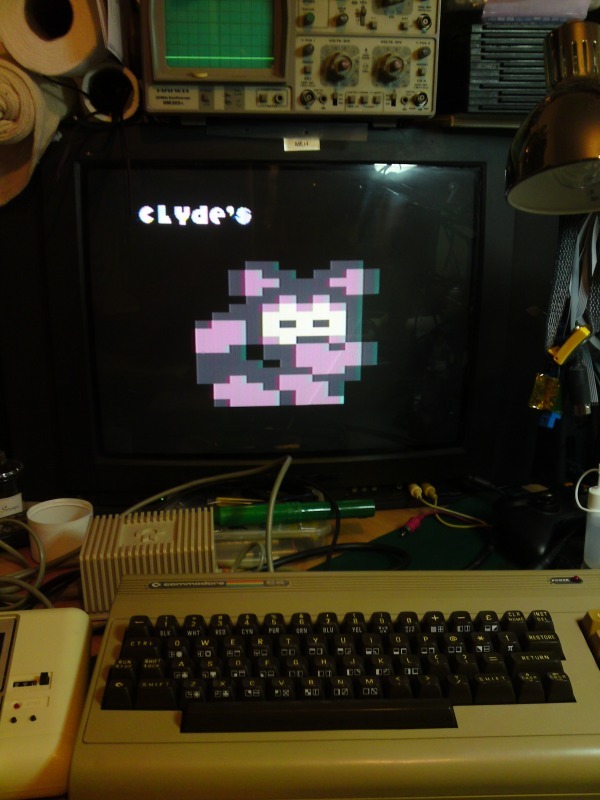 Now I'm loading Creatures II via my 1530 Sd2IEC conversion.. Nicely! Disk 2 loading.. 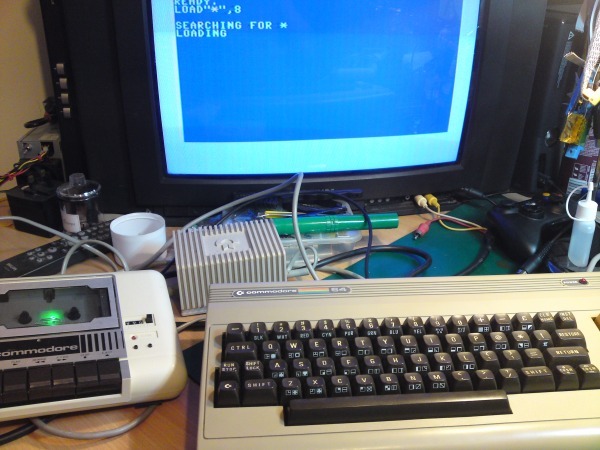 Disk swapping on a 1530, available from all good retailers! Worth the hassel? 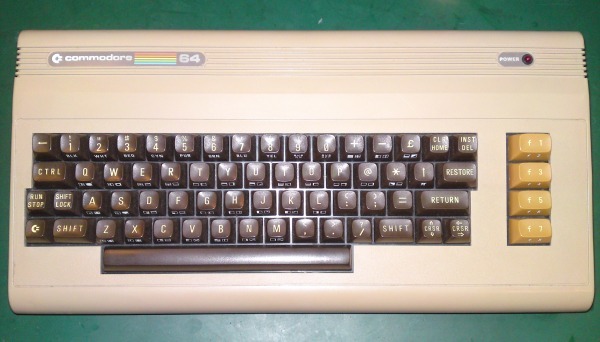 I think so, the owner of this C64 bought it brand spancing new back in 83ish. 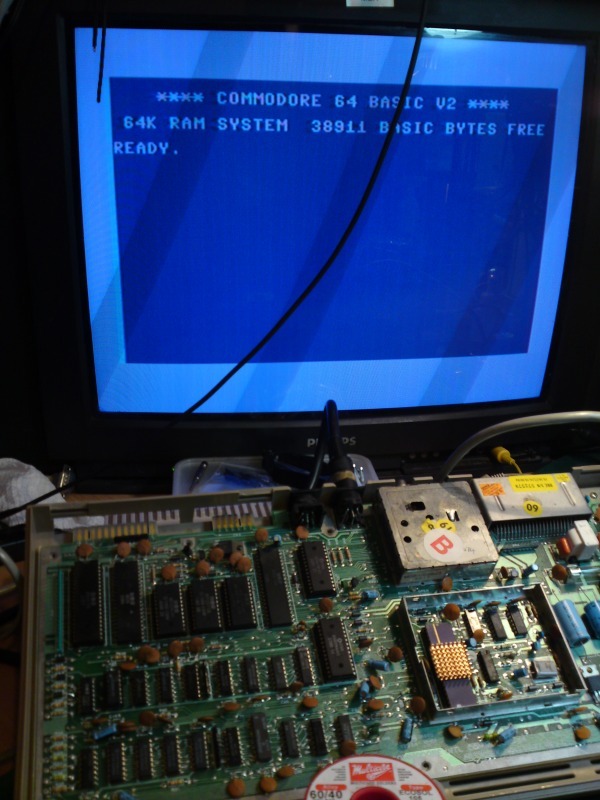 All it needed was a 6526 one 4164 a 6510 and a bunch of capacitors and someone mad enouth to fix it! It's sooo good. Clyde wanted to do a little dance. Any excuse for a quick game of Ghosts and Goblins!